Genius work on where brands sit in the Social Media space. I came across this today, for the first time – and felt that it’s something that should be viewed by anyone who’s got an interest on the intersection of Brand / Online / Social Media / PR 2.0. When looking at it – the question you should be asking yourself (if you are an online company) – where does my company fit? 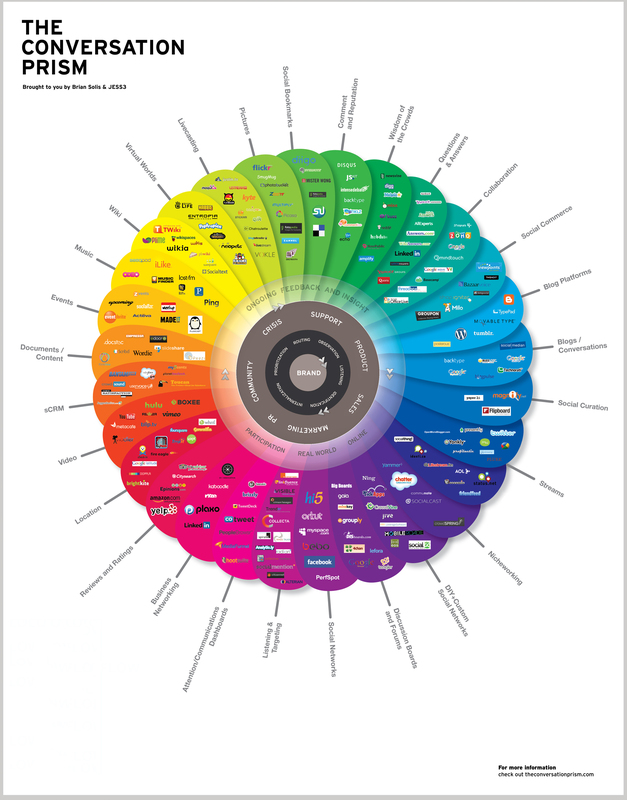 It’s the best infographic / break down / that I’ve seen – of how the social media universe is interacted with by end-users. You can buy poster copies here. Deeplink to more info – here. « Infograph: Great history of typefaces – the big dates are here.